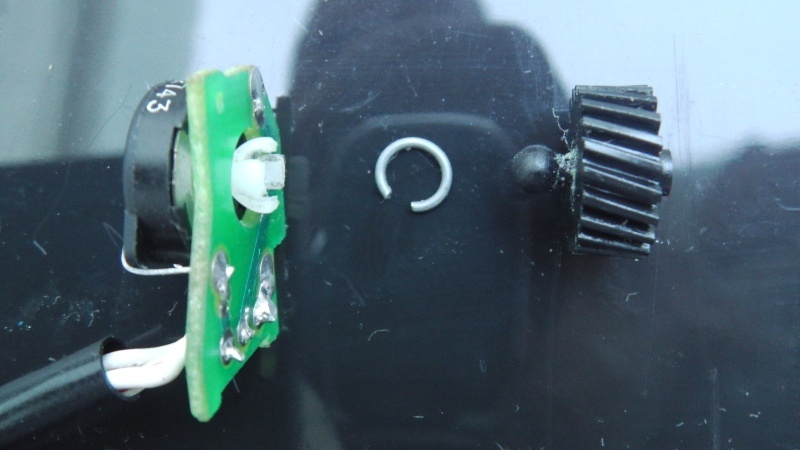 Memory seat potentiometers are pretty expensives parts: (~300$ each). replacing them one by one as they fail (and they do fail after a while) can quickly become an economic non-sense. They can be repaired with almost no spending and a bit of patience and precision. This will be illustrated with a seat recline potentiometer, but this is similar for the other 4. 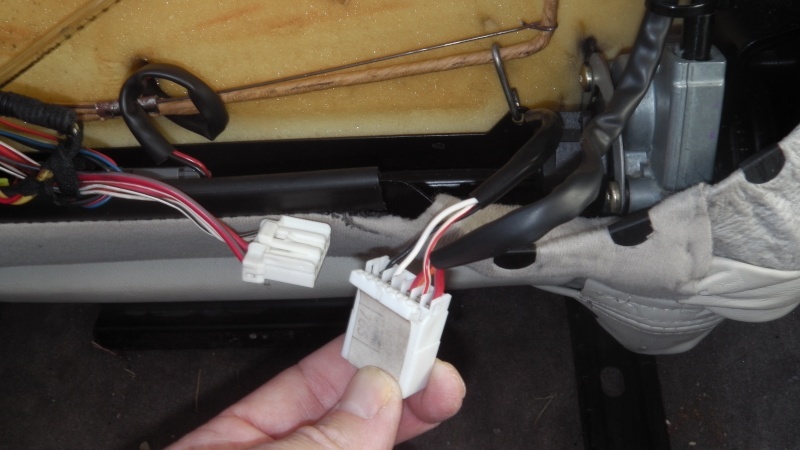 - Remove 2 clips, one on each side of the seat back cover trim. 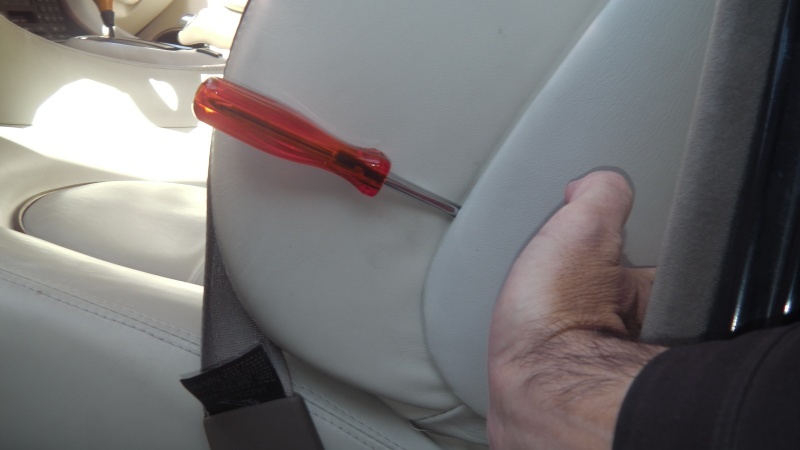 Push with a flat blade screw driver on the inner part of the clip and push forward and outward on the seat back rear cover. - Remove the seat rear cover trim. - Put the seat in the most up and forward position and push the shaft as much as possible to the outside of the car (open the front door). Remove the potentiometer. Note the 3 potentiometer contacts can be separated from the 5 contacts connector to allow to completely remove the potentiometer. We can find a rotary potentiometer and a speed reduction gear set. The seat back shaft makes about 11 turns and the rotary potentiometer make only ¾ turn. The small plastic speed reduction gear set allows to transform the 11 turns of the seat back shaft into a fraction of a turn of the potentiometer. 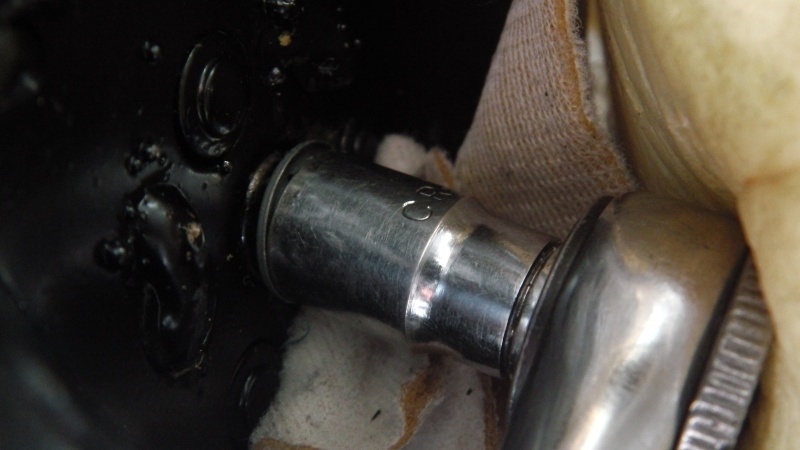 Furthermore, in order to prevent breaking anything if the potentiometer reaches an end-of-travel, the link between the last gear (black, image above) and the potentiometer axle (white, image above) is made with a ball joint. In normal use, the ball joint link is rigid and rotate the potentiometer. In factory or after a repair, if the potentiometer reaches an end-of-travel, the ball slides, preventing damage. There are tiny tabs on the white potentiometer axle that are supposed to keep the spring ring around the ball joint. When aging, the tabs break, the spring ring fails apart, and the black gear ball turns in the empty, without moving the potentiometer anymore. 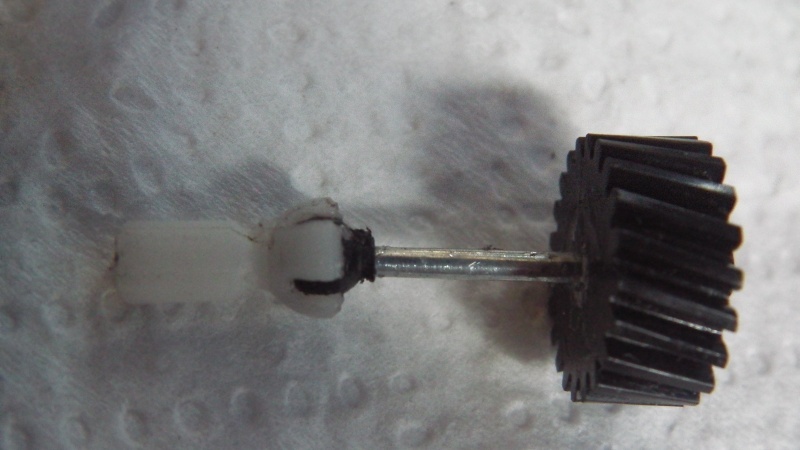 This can be repaired by drilling a 1.5mm hole side-to-side across both the black gear and the white potentiometer axle. Use a nail with a section slightly bigger than 1.5mm. Cut the nail head and push the nail with super glue inside the black gear hole. After a few seconds, the black gear and the nail become a single solid piece. Push the white axle on the remaining side of the nail WITHOUT GLUE. You can ajust the hole in the white axle with the 1.5mm drill bit so that the white axle is tight on the nail but not too much. In normal use, the white axle is tight enough on the nail so that it makes the potentiometer to turn. If the potentiometer reaches an end-of-travel, the nail turns inside the white axle hole and nothing is damaged. Note: cut the nail 2mm shorter than the white axle in order to preserve a flat blade screw driver footprint located at the left end of the white axle (footprint not visible on the image). This is useful to make the final ajustment, see end of post. When reassembling everything, it may happen that one of the extreme positions cannot be memorized. This is because the system does not allow to memorize positions that are too close to one of the potentiometer end-of-travel. 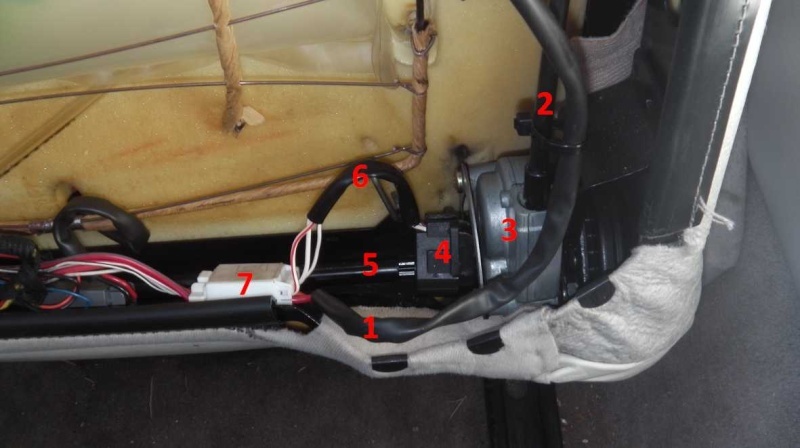 Service bulletin 501-35 ¨Front Seat Memory¨ explains this and provide solutions to “center” the seat movement range with respect to the potentiometer range. Check if both extreme seat positions can be memorized. You are sure a position can be memorized if you can assign it to one of the 3 memory settings, then move the seat to another position, then recall the memorized position and make sure the seat returns to the memorized position. If one of the extreme positions fails (let say fully up), move the seat to the opposite extreme position (fully down). Block the potentiometer axle to prevent it to rotate, by inserting a micro flat blade screw driver by the orifice as shown below. Move the seat up for about 10% (of the full travel) while preventing the potentiometer axle to turn, keeping the screw driver still. Remove the screwdriver, now it should be able to memorize both extreme positions. One more verification involves measuring the voltage on contact 5: (White/red wire, potentiometer feedback) while moving the seat across its full travel and verify that the voltage stays in the range [min +1V, max +10V]. Last edited by bballarin; 11-16-2014 at 09:11 AM. Now this is something many of us were waiting for, thank you very much for the detailed description. 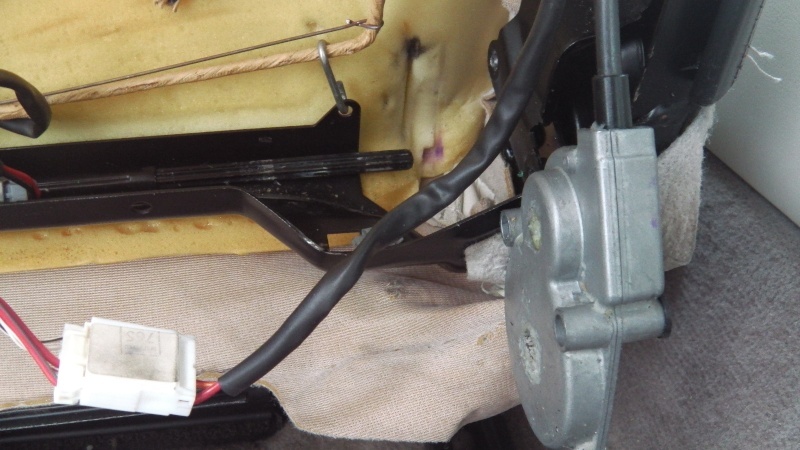 Even if advisable to disconnect the battery whenever operating on electrical parts, in this case it is pratical to reconnect the battery at some times, to be able to act on the seat controls. Several times, after reconnecting the battery and the system was partly dismantled, I have got eratic behavior of the memorised components (for instance this time, temporarily lost the ability to memorize mirror positions). In this case, disconnect and reconnect the battery one more time before assesssing anything is wrong or broken, including before the final adjustement procedure. Last edited by bballarin; 11-18-2014 at 12:39 AM. Thanks so much. Great pictures with good description's This will make the repair worth the effort. Ebay is a good source for used seat parts. Most of the stuff works. 1. The first one I removed from the seat, snapped it apart and retrieved the nylon drive and broken bits as well as the steel circlip that applies retaining force to establish the friction slip drive. 2. instead of drilling and adding a new shaft, I measured the nylon bit and created a replacement on a 3D printer from ABS at a .005" print resolution. I think ABS is a bit stronger than nylon. It uses the same steel circlip, but I found that if the steel bit is lost, a small o-ring will serve the purpose. 3. so I just replaced the part, reassembled the device and reinstalled. Seems to work just fine. 4. 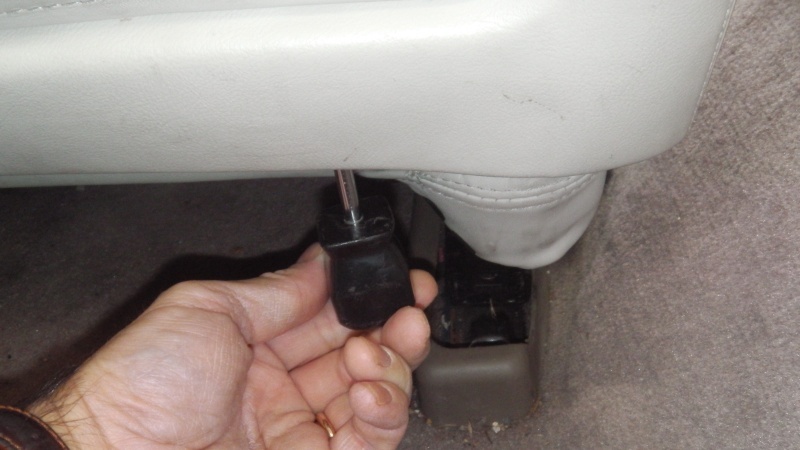 I also found that it is possible to effect the fix without removing the device from the drive shaft on the seat in all location I needed to address: forward and back, front up-down, rear up-down and seat back recline. Not all easy, but it can be done and is a huge time saver. If there is interest in applying this fix, I can print up more of the parts and make them available at a nominal cost. I just noticed that this is the X308 section, it must be the same part. I also found that the same part is used on Ferrari 355 and probably other cars as well. Does anyone know how to get this referred to the X300 section? Yep, I've also found that with some effort one can snap open the case of the potentiometer and just remove the pot parts/board and its gearing. Interesting and great news on the replacement part via the printer. Have you done any testing to demonstrate that the ABS is stronger than the nylon in the original form? ABS can be tough, but I've also known it to get quite brittle with time. That would be great if it really is. I also think what would be really useful would be to make it out of ABS like you have, thicken the "petals" enough over the original design so they don't break easily but can still be installed, and like you said find an o-ring to replace the steel clip to provide the tension on the now thicker "petals". Right. When I made the CAD model of the part, I first did it as measured, then I did another one with a slight increase in cross section dimensions. I also did one with an increase to the max that will fit, but I'm not sure that that is the best solution because the strength of the "petal" may not allow the clip to apply enough force to the drive ball. I also increased the length of the clip retaining flange to accommodate the o-ring. It will work with either the clip or the o-ring but since I had all the clips I used them. On all the drive bits I removed the failure point was the retaining flange rather than the body of the petal. Free of the clip, the petal no longer bears on the ball and it won't drive the potentiometer. My guess is that ABS is stronger than nylon, but I've not looked into it. The machine only allows ABS at .005" resolution so the difference is academic for me. Neither do I have a notion on longevity. My car is 1996 and all of the drives were broken in the same manner. But I replaces all of them with different configurations of the drive (original, thicker and max thick) so we'll see what lasts longest. Check with me in 2036. The seat memory works for the first time in many years. Ahhh, I see. All good ideas, thanks for the additional information. The forum won't let me send you a private message, but I'd be interested to know the cost of the "slightly thicker" and "max thickness" options. Last edited by al_roethlisberger; 01-27-2016 at 08:38 PM. I am interested in getting some of these. I have yet to pull it apart, but I bet that is why I have an issue in the fore-aft direction. Do you know if they are the same in all positions? Yup, all the drive couplings are the same. I think the potentiometers are all the same, or at least pretty close to the same. The differentiation of the positions sensors is the worm gear set up. The seat adjustments with long travel (fore and aft) have different drive ratios that those of the short travel (up and down) so that the potentiometer rotation is the same. I made some extra parts so I'll dig them up. I used a few different configurations just to see what works best, but I think I will remember the one I felt would have the best longevity. So far all work fine. I'll take some pictures and then see if I can figure out how to put them on this. Or I'll ask my daughter to help. Someone down below asked about the relative cost of different configurations. They are all the same. The money is in the machine time; there is very little material involved. I have not looked at what a "production run" would cost on the machine but I will do so. When I did it, I did 5 or 6 at a time. 50 or 100 parts would take far less time per unit. I'll get this stuff together as soon as I can and post it. Niles, Thanks for the great work. I'm definitely interested as well. Looking forward to your next post. 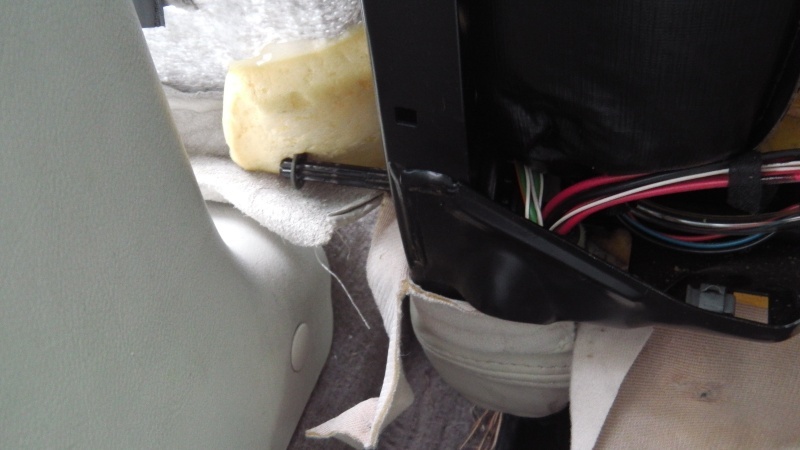 I removed the seat back potentiameter and found the broken part, spring clip and drive gear. After trying a couple of different means to apply the appropriate pressure to the ball on the drive gear, I decided to try to carve a new groove in what was left of the petal in which to seat the spring clip. I used a thin pointed end on a soldering iron and carved a shallow groove near the top of the petal. I had to pry the spring clip apart a bit, since the diameter of the petal at this section is larger than where the clip is supposed to be. Once I got the clip onto the petal, I inserted the ball end of the drive gear, then used the soldering iron to heat the spring clip to better seat it in the groove I had made earlier. I reassembled the pot and drive in the case and the repair worked fine. I may need to do the same fix for the pots on the the fore-aft, and front and rear seat height mechanisms. Thanks to the posters above for providing enough information to allow me to inspect and repair this item! All, thanks for the information here. I have just been through replacement of the fore/aft pot as that one gets more work due to the auto recline function. All pots are the same (4k ohm) and all except the fore/aft are accessible without much disassembly. The fore/aft requires removing of the lower slide runners and drilling out two rivets to get the pot assembly out. I also had a seat where the up/down assembly was work on the left side such that there was 1/2" loose movement. Pick-n-pull were having a 50% off sale so got a whole seat for $15 and swapped the upholstery covers over. I have spare motors and pot drive assemblies also now. I do wonder if you still are around with your 3D printer and can make replacement potentiometer drives? 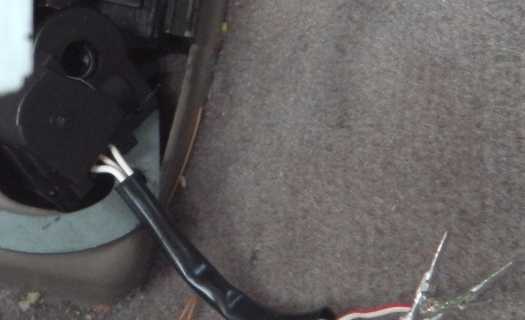 I would be happy to get my hands on a bunch of thoose since my drivers seat has total alzheimers when it comes to remembering where to go an when..
Has there been any update on the availability of Nile's 3D printed potentiometer drivers? 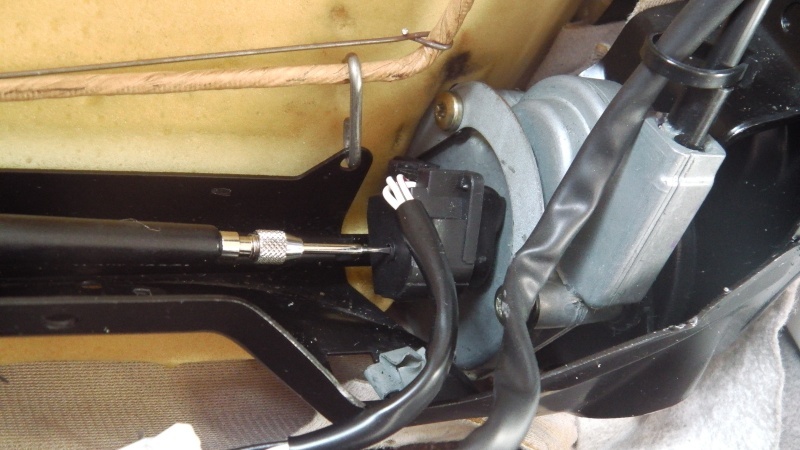 A few folks on the ferrarichat.com F355 forum have had difficulties with their seat potentiometers. Regluing the claws is only a temporary measure. I haven't checked into this place lately, but I see there has been some activity on the memory devices. I made about 50 of these things back then, sent some to someone who inquired to get feed back on use (they worked fine for me perhaps installation could be a problem elsewhere). I heard back recently that they installed fine and have been working fine as well for 3 years now. As have mine. So I guess they are good to go. In reasonable volume (300 is a full load in the machine) they cost about $5.00 each to build, a full set for an X300 front seat is 5 parts, so $25.00 a set of 5. But I don't think the forum allows commercial sales. Any advice on how to make these available?